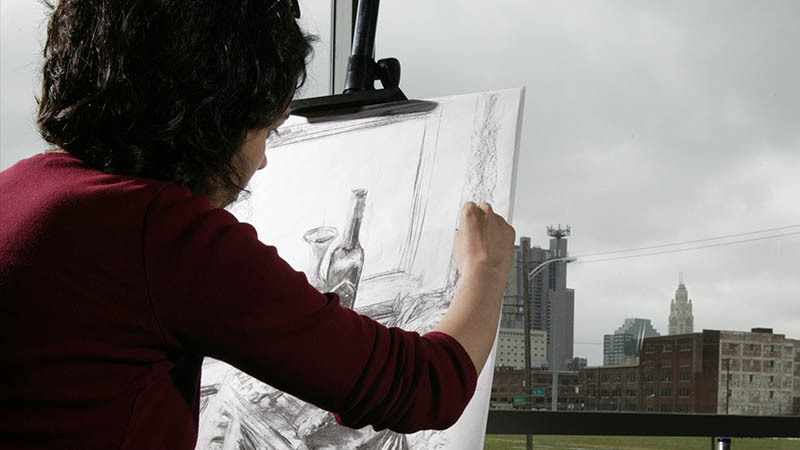 Learn to express yourself through painting, drawing and design with Columbus State’s studio art courses. 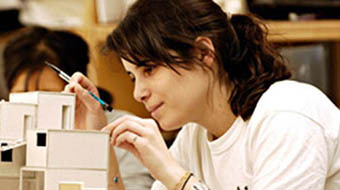 Students learn the practical techniques needed to bring their creative vision to life, as well as learning about the history of art. Whether you’re looking to build your portfolio, transfer to a four-year art program, fulfill an elective or just deepen your appreciation of art, these classes will help you get there. 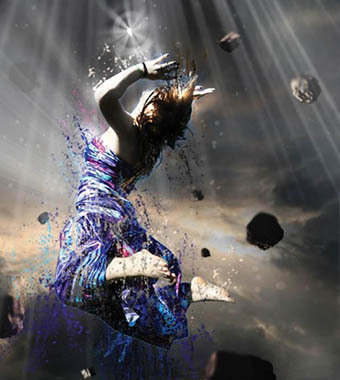 Topics range from beginning drawing to color composition and 3-D design. Justin Fields wasn’t sure what he wanted to do when he started at Columbus State. 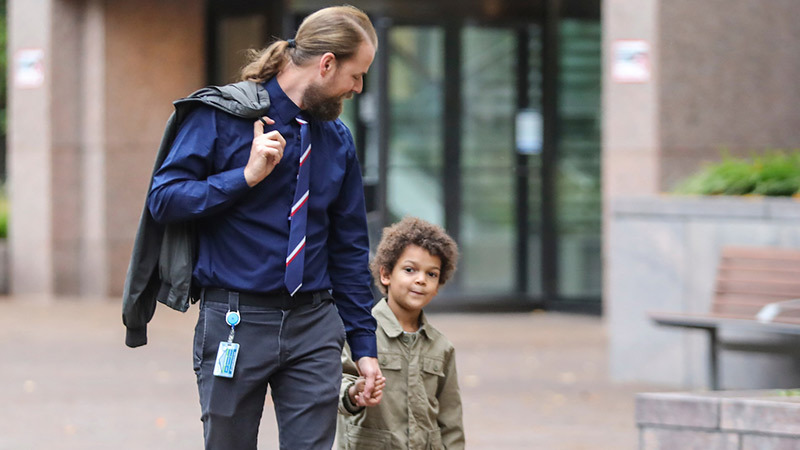 He started in human resources, and then changed his major computer science. But when he discovered the music lab, he knew he’d found his passion. After earning his associate degree, Justin transferred to earn a bachelor’s degree in Vocal Performance at Ohio State. He performs with Opera Columbus, and is currently working on master’s degrees in Vocal Performance and Vocal Pedagogy. 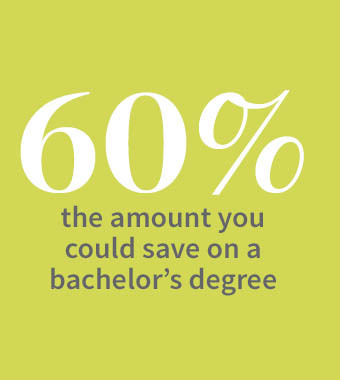 Students who start at Columbus State and transfer save up to 60% on the total cost of their bachelor’s degree. Crystal Clark has been teaching English at Columbus State for more than 20 years. 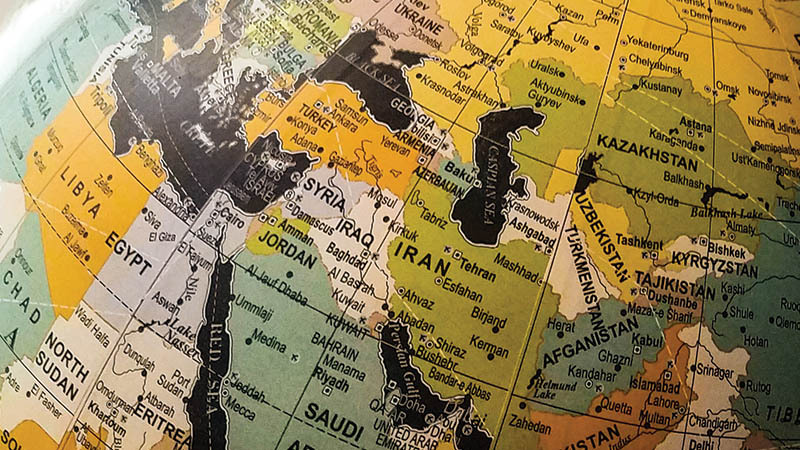 She focuses on composition, literature and creative writing, but no matter what class she’s teaching, she aims to equip students with the critical thinking skills they need to help them navigate life. “I would like to believe that opportunities have been awakened in you, that insight has been awakened in you, this quest for wanting to know and understand more has been awakened,” she says. Nicole Brandt’s teaching philosophy is influenced by the broad diversity of students at Columbus State. She strives to meet each student where they’re at — helping students who struggle academically while also challenging high-achieving students. 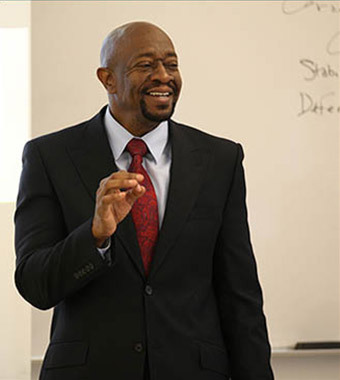 Every year, students nominate faculty for Columbus State’s Distinguished Teacher award. One of Brandt’s students wrote that she believed Brandt did everything in her power to make sure her students were all on track and in good academic standing throughout the semester. The student added that Brandt has a great way of relating to her students. How does Brandt establish this rapport? She encourages all her students to think independently and critically about what they read in books, articles, or on social media. She hopes to provide her students with confidence in their ability to succeed in college, no matter what subject area they choose to pursue. Uncovering what makes humans human. 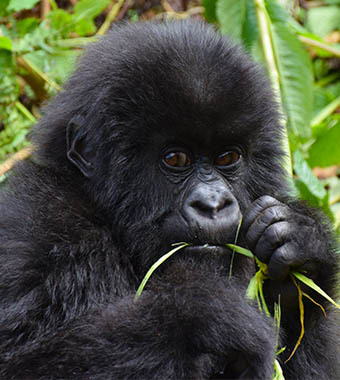 Anthropology is the study of humans and nonhuman primates, both in biological and cultural contexts and studies. It delves deeply into the beginnings of humanity, and stretches to ideas about humanity's future. The goal is always to discover what separates humans from other species, and what makes different human populations unique in the ways they respond to the challenges that they face. We hope to discover what makes us all human, in spite of some of the superficial differences we observe. 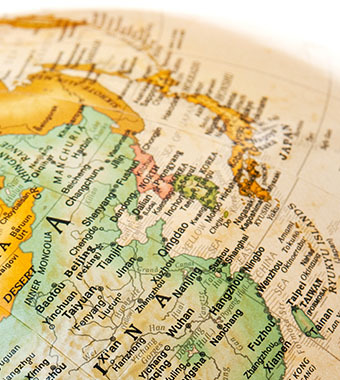 Expand your worldview by studying the inner workings of individuals and societies. Theater courses at Columbus State introduce students to the history of Western theater and the fundamentals of acting and stage production. And every semester, Theatre Columbus State gives students an opportunity to participate in staging a full performance. Get a look behind the scenes of Columbus State’s time-bending, gender-fluid production of “Romeo and Juliet” from Spring Semester 2017. Opportunities – and earnings – in STEM careers are growing fast. Data from the U.S. Bureau of Labor Statistics (BLS) are proof positive that the future of the economy is in the STEM fields. Employment in occupations related to STEM—science, technology, engineering, and mathematics—is projected to grow to more than 9 million by the year 2022. Overall, STEM occupations are projected to grow faster than the average for all occupations. And wages in these occupations were generally higher than the median for all occupations. Whether you’re planning a career in the field of mathematics, or you struggle with math anxiety (yeah, it’s a thing! 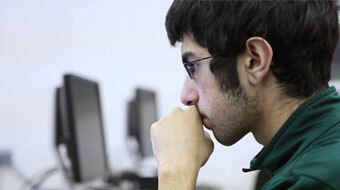 ), we’ve got the math courses, experienced instructors, and student support to help you conquer the next level. Classes are offered from basic to advanced levels in all mathematical disciplines, including math classes specialized for the needs of specific fields. 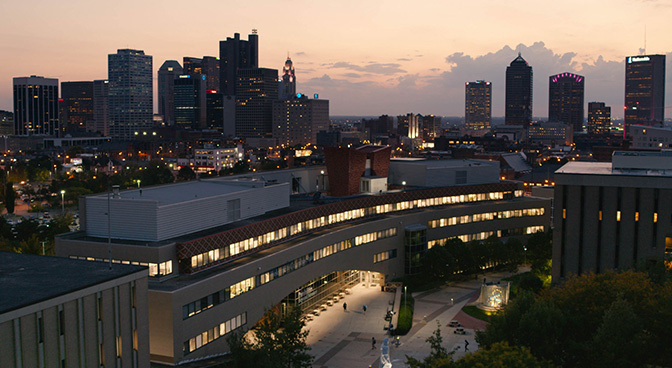 All augmented with tutoring at all levels, provided at no charge for Columbus State students. 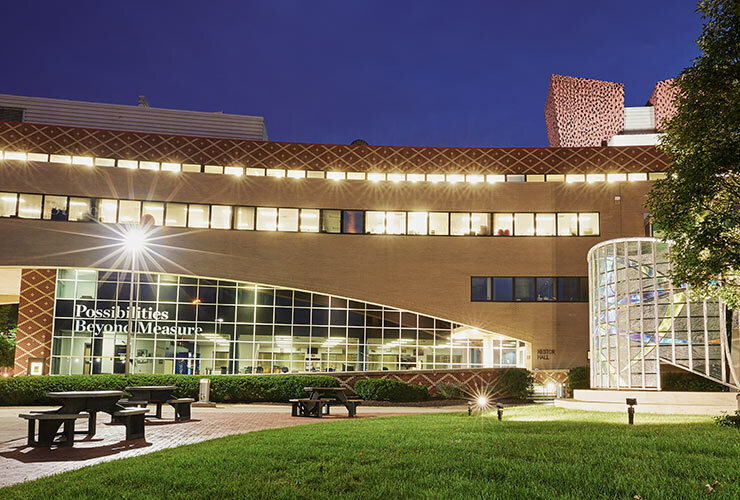 Funded by both the National Science Foundation and Choose Ohio First, the Future Scientists of Ohio program (FSO) provides full-tuition scholarships for incoming freshmen. Students must be enrolled in the Associate of Science major and planning to transfer after earning an associate degree to pursue a bachelor’s degree in a STEM field. The scholarship is renewable for a second year, allowing students to complete their first two years of a bachelor’s degree tuition-free. Students with required grade point averages also have the opportunity to take their FSO scholarship with them for reduced tuition at many four-year universities. Courses in the physical sciences provide an in-depth understanding of the nature and properties of energy and nonliving matter. Our small class sizes and personal attention from instructors provide the hands-on environment to cultivate learning and discovery of intricacies of the inanimate world around us. Graduate ready to face the future – instead of paying off the past. Columbus State’s low tuition rate – the lowest in the region – lets you complete the first two years of a bachelor’s degree, often debt-free! 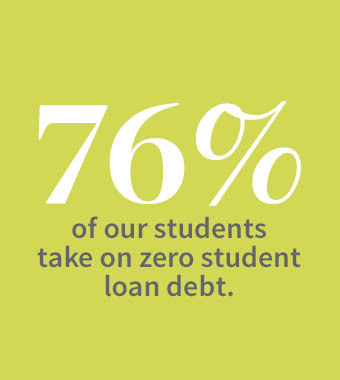 This significant savings lets you cut up to 60% off the cost of your college education. And with scholarships offered at Columbus State, as well as at many of our Preferred Pathway partner schools, your savings could be even greater. 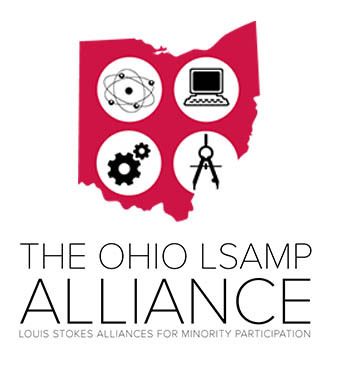 The mission of the Columbus State LSAMP program is to increase the number of underrepresented minority students who complete associate degrees in STEM disciplines (science, technology/computer science, engineering, and mathematics) and transfer to a four-year institution to continue their STEM education. 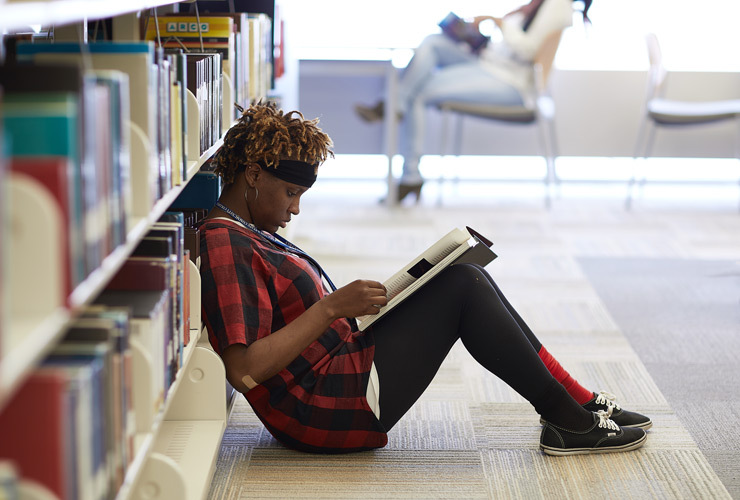 LSAMP provides resources, education and support to address academic, personal, emotional, social, financial, cultural and ethnic issues that may affect students’ academic performance and persistence toward a college degree. For additional information and to apply to the LSAMP Program, email program coordinator Dr. Randle at mrandle2@cscc.edu. Small classes and lab groups provide the individual instruction to give students comprehensive preparation in the study of living things (biological sciences). Students learn fundamentals in an environment where they can interact and ask questions, providing a solid foundation to transfer toward a bachelor’s degree in biological sciences. A community of students in STEM majors. Students interested in exploring the STEM fields find kinship, direction and exploration through the STEM Club at Columbus State. The group meets each month to engage in activities career exploration, field trips, and guest speakers. It’s the ideal way to forge friendships, share experiences, and build your professional network. Shandon Mitchell almost didn’t go to Columbus State. He started at a four-year college in 2014, but had to leave after a problem with scholarships. Luckily, a spot was still open in Columbus State’s Honors Program. "At first, it seemed like the end of the world, but I'm glad I ended up at Columbus State," Mitchell says. 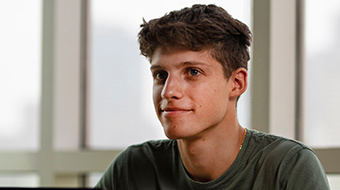 "The Honors Program has helped me in ways I couldn't have imagined." That program also led to an internship at COSI, which led to a job as a research assistant on a project to compare regional accents around Ohio. And if that wasn’t enough, Mitchell helped his brother and some friends start an apparel company while he was still a student as Columbus State. StarStrukt has a thriving online trade and maintains a storefront in Reynoldsburg. 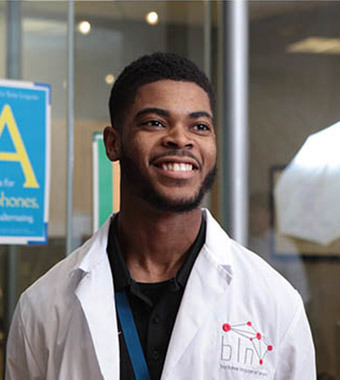 After earning his associate degree, Mitchell transferred to Ohio State’s Fisher College of business, where he’s decided to focus on business and IT for his bachelor’s degree. “I’m on track to graduate, on time, and with half the cost,” Mitchell says, noting the value of Columbus State’s low tuition. 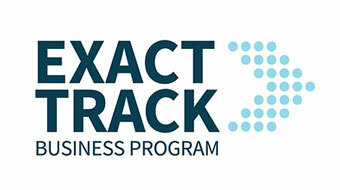 Whether you want to advance your career or prepare for a new one, The Exact Track Business program can get you there. This accelerated program from Columbus State and Franklin University allows candidates to earn a bachelor’s degree in less than four years. The program is convenient and affordable, with preplanned classes and free textbooks. After completing the program, you’ll have an Associate of Applied Science in Business Management from Columbus State and a B.S. in Business Administration and Entrepreneurship from Franklin University. 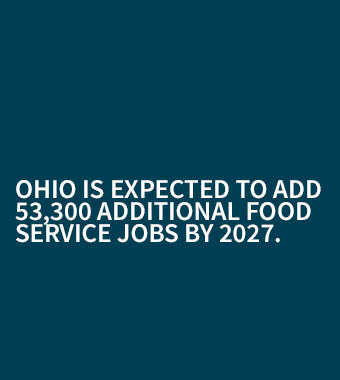 Ohio is expected to add 53,300 additional food service jobs by 2027. According to the National Restaurant Association, the food service industry is expected to grow rapidly in Ohio. 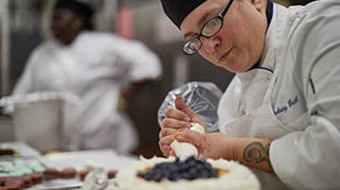 Columbus State’s hospitality program is widely recognized as one of the best in the state. 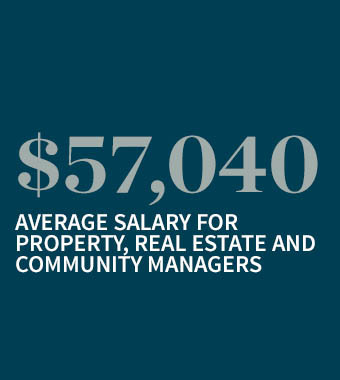 According to the Bureau of Labor Statistics, property, real estate and community association managers earn an average of almost $60,000 a year. Columbus State’s real estate major offers flexible certificate that prepare you to work as a property manager. Jeffrey Tsai was pursuing his Business Management degree at Columbus State when he was accepted into the ultra-competitive Ohio Export Internship Program. He was the only community college student accepted, and he worked alongside MBA and bachelor degree-seeking students from other state universities. Tsai interned for Hague Quality Water International, a water softener manufacturer in Groveport, where he helped the company get a product certified in Germany, prepared products for shipment to China, and assisted with streamlining owners’ manuals written in several languages. 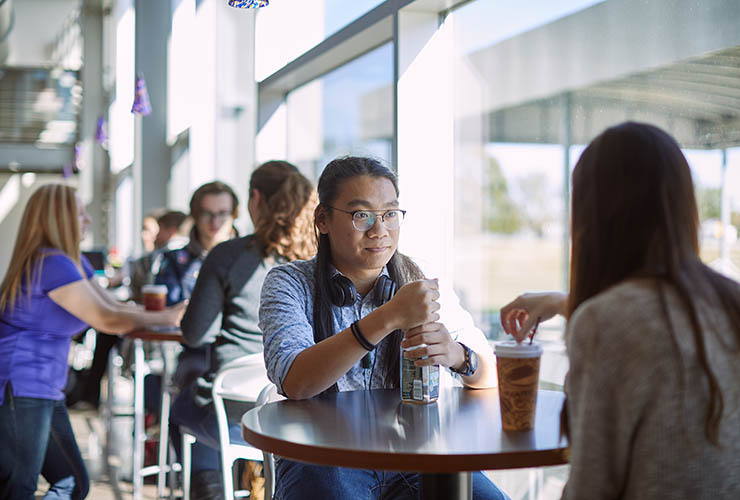 “The internship gave me a lot of confidence,” said Tsai, who graduated in 2016. “It also gave me an inside look at a company where logistics was a key part of the operation.” Tsai received college credits for his internship and it helped him land a full-time job as a logistics coordinator with XPO Logistics in Dublin. From event planning to restaurant management, we prepare graduates for a wide range of careers in the food and tourism industry. If you’re looking to start your career (or take it to the next level) in the food and hospitality industry, there’s a program for you in Columbus State’s hospitality program. 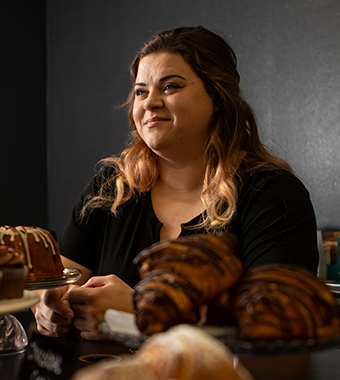 Our widely respected Culinary Apprenticeship major blends classroom instruction with on-the-job experience in local restaurant kitchens, while the Baking and Pastry Arts major balances baking fundamentals with business management instruction. Students who aspire to management will get the skills they need in the Restaurant and Foodservice Management major. And if you love planning and organizing events, the Hotel, Tourism and Event Management major prepares students for a variety of careers in the hospitality industry, including meeting and event planning. Ever heard of forensic accounting? It’s one of many career options in the surprisingly diverse accounting field. If you love numbers, you’re in luck — accounting consistently ranks as one of the top career opportunities in business. 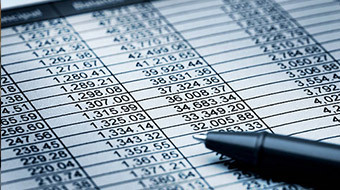 Investors, creditors, business managers, and government agencies all rely on accurate and complete financial statements so that they can make good decisions, and the accounting major at Columbus State gives you the conceptual and practical knowledge you need to start your accounting career. Job opportunities in this field range from internal auditing, cost accounting, budgeting, financial forecasting, and even forensic accounting, which focuses on detecting fraud. Every business in every field needs qualified IT professionals who can analyze and develop strategies to debug networks and network devices. Graduates from the IT Tech Support Technician program have the tech skills to support both proprietary and Open Source systems, combined with the “soft skills” to communicate well, making them invaluable in today’s tech-focused workforce. Students from the Digital Design and Graphics, Digital Photography, and Video Game Art and Animation programs make up the staff of Studio 413. 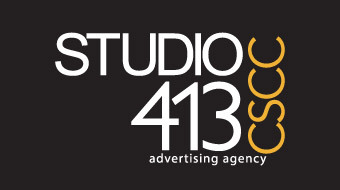 Studio 413 is Columbus State's student ad agency that provides advertising and promotional materials to businesses and companies outside of Columbus State, as well as departments and service organizations here on campus. Students deliver everything from graphic design and brand identity to web page development and digital photography for brochures, logos, posters, web advertising and marketing services. This gives students a unique opportunity to participate in all aspects of an advertising agency from initial concept to working directly with the client on the final product. Along with the valuable experience, students produce creative work that they can add to their resume and portfolios. Highly trained experts are needed to create innovative solutions to prevent hackers from stealing critical information or causing problems for computer networks. 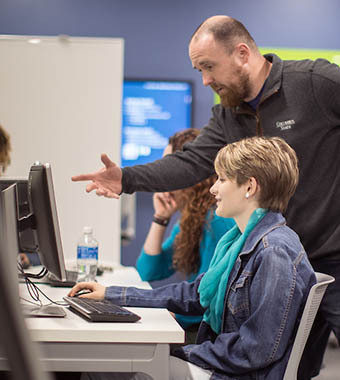 In collaboration with the National Science Foundation and with support from the National Security agency, Columbus State has created a program that is educating the next generation of cybersecurity experts. The field is expected to grow faster than average, according to the Bureau of Labor Statistics. When you earn an associate degree at Columbus State, your credits are guaranteed to transfer to any state college or university in the State of Ohio. Our Preferred Pathway partners provide even more benefits like guaranteed admission, academic advising. According to the Bureau of Labor Statistics web developers who hold an associate degree earn a median salary of $66,130 per year. Web developers design and create websites. They are responsible for the look of the site. 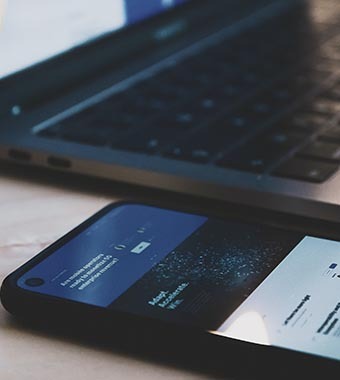 They are also responsible for the site’s technical aspects, such as its performance and capacity, which are measures of a website’s speed and how much traffic the site can handle. In addition, web developers may create content for the site. The Eden Contingency is a video game designed and developed by Columbus State students as a capstone project for the Gaming track of the Computer Science program. 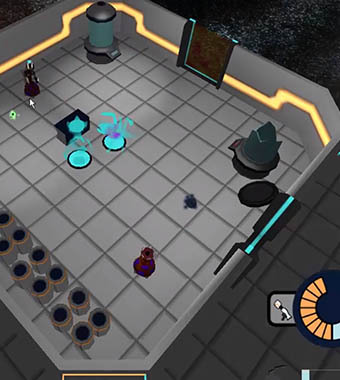 The game follows a security officer on a space station who must fend off an alien incursion. 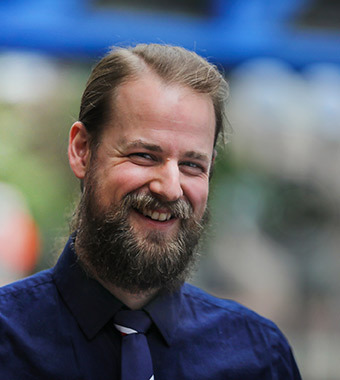 “If you program a game, you have solved 90 percent of the problems you will ever find in business,” says instructor Henry Bawden. Students on the Gaming Track develop their skill to program, solve problems creatively and – perhaps most importantly – work together as a team. 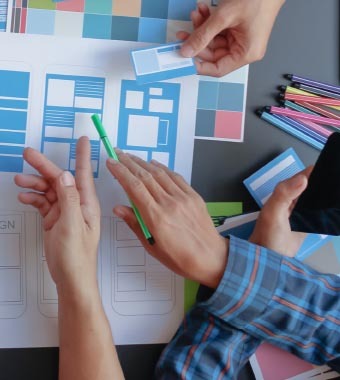 As digital disciplines converge, the demand for skilled designers is growing across all fields. After studying everything from photography and web design to interactive media and branding, our graduates are well prepared to communicate ideas with clarity of thought and conceptual design. The demand for IT professionals is huge and two-year degrees are critical to fill the skills gap between the numbers of open jobs and individuals able to fill them. Columbus State students are learn marketable skills that employers are looking, Manifest Solution counts on Columbus State grads to fill their IT positions. Heating, Ventilation, Air Conditioning and Refrigeration. Employers demand skills beyond the basics. 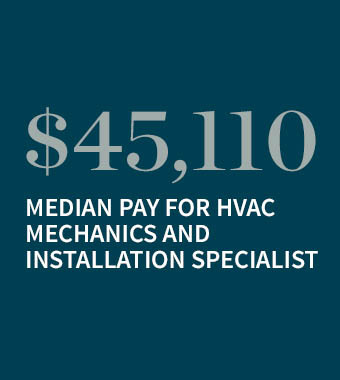 Heating, air conditioning, and refrigeration mechanics and installers work on heating, ventilation, cooling, and refrigeration systems that control the temperature and air quality in buildings. 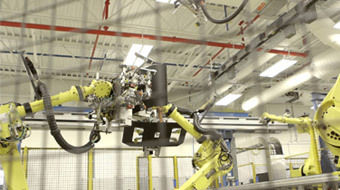 Candidates familiar with computers and electronics and those with good troubleshooting skills — important skillsets emphasized in Columbus State’s HVAC program — will have the best job opportunities as employers continue to have difficulty finding qualified technicians to install, maintain, and repair complex new systems. As environmental awareness grows, so do career opportunities. Environmental and safety technicians apply the principles of science, engineering, communication, and economics to protect and enhance the safety and health of humans and of our natural resources. Job opportunities are very diverse with many graduates of the program being employed with environmental consulting firms, water and wastewater treatment plants, industrial facilities, construction companies, and governmental agencies. Careers opportunities in this field are growing faster than average and expected to continue growing through 2024, according to the Bureau of Labor Statistics. While touring four-year universities right after high school, Caleb Auman found Columbus State. 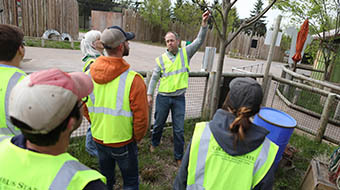 After hearing of his interest in landscape design, a tour guide at a university pulled him aside and suggested he check out Columbus State's Landscape Design and Build program. At Columbus State, Caleb found a series of faculty mentors who helped him hone the skills needed to start and grow his own landscape business. "The faculty are a dedicated group of professionals. They really emphasized being serious and professional, and were always adamant about us being very horticulturally minded. I've always been very impressed by them," Caleb says. "I came away with a good mindset and I had a great opportunity to learn a lot." Caleb’s company Auman Landscape provides landscape design and installation services in the Lancaster Ohio and Fairfield County region. Reflecting on his experience, Auman says that as an employer he would rather have Columbus State students than students from many other programs. Welding is a skilled trade that, when mastered, transforms the student from rod burner to skilled artisan. From the metal beams that support skyscrapers to rods that power automobiles to the puddle that shapes a child’s toy, welders’ work is an essential part of creating all aspects of modern existence. 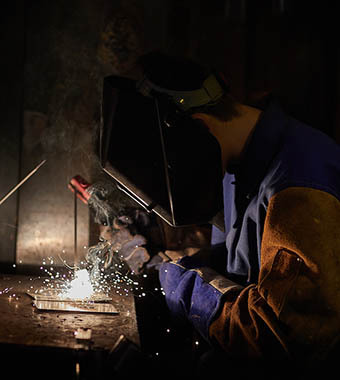 Students in the Skilled Trades Associate Degree Program in Welding acquire knowledge and skills that qualify them for commercial, industrial, and manufacturing jobs in the welding industry. Students successfully completing their degree will also have the opportunity to earn up to a LEVEL II Advanced Welder Certification through the American Welding Society. 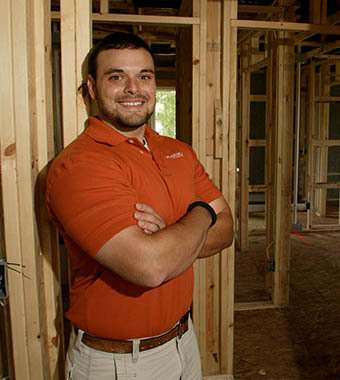 Construction Manager, Fischer Homes. Adjunct Instructor, Construction Management, Columbus State. 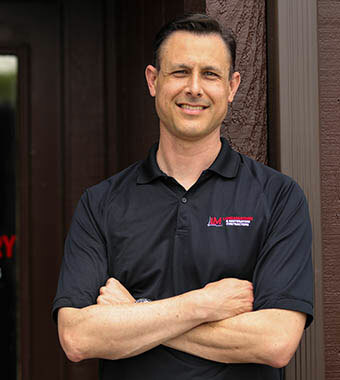 The Construction Management program helped Alogla become a well-rounded construction manager who understands all facets of a construction project. 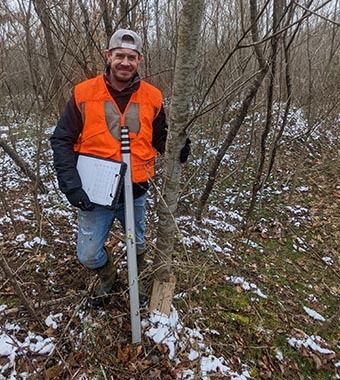 It helped him solidify skills he already learned on the job, like blue print reading and field management, and taught him new ones, like how to use Timberline estimating software, Auto CAD drafting software, and Primavera scheduling software. 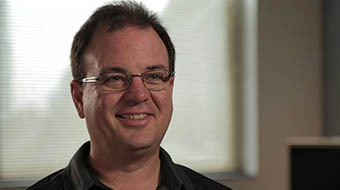 Alogla appreciated that his instructors at Columbus State had backgrounds in the industry, and were able to challenge students at every level of experience. “They had such a huge impact on me that, after I graduated, I came back to Columbus State as adjunct professor in construction sciences,” he said. Through a unique internship program, Columbus State students majoring in Interpreter Education get real-world interpreting experience with a twist. Now in its third year, the partnership began with Shadowbox leadership decided the shows needed interpreters who could also perform. Education Director Stacie Boord wanted the interpreters to mirror the energy of the actors on stage to enhance deaf patrons’ experiences. 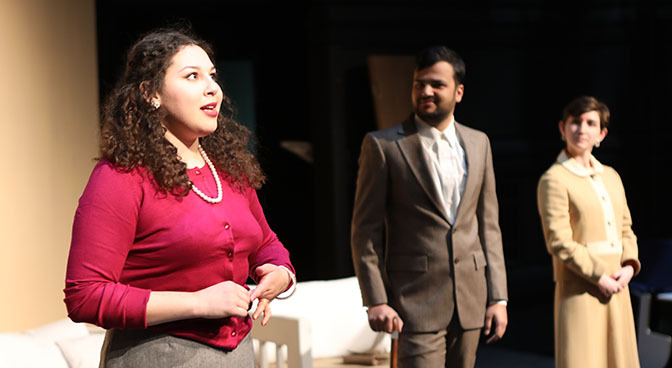 Working together, Columbus State and Shadowbox created a new course for second-year ALS Education students, teaching the basics of performing in the theater combined with sign language interpreting. 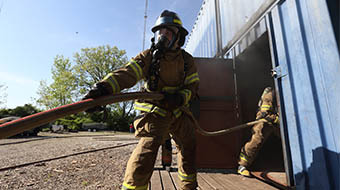 Until recently, students in Columbus State’s Fire Science program had to travel to the Ohio Fire Academy in Reynoldsburg or to surrounding departments to get live burn training. Now, the department has its own two-story fire training lab simulator, located at the Southwest Regional Learning Cetner at Bolton Field. The simulator is built from shipping containers and can accommodate up to 20 students. The Fire Science department conducts three live burn trainings every semester, allowing students to practice fighting fires fueled with natural materials as well as liquid ignition sources. According to the Bureau of Labor Statistics the continued desire for public safety is expected to lead to new openings for officers. 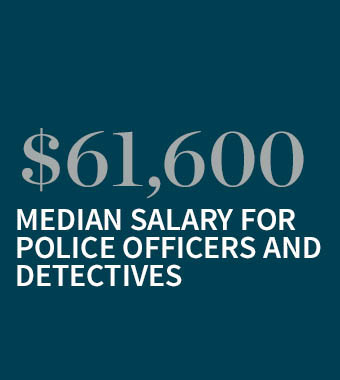 In the Columbus area, officers begin their careers at $50,000+ and earnings increase with experience and education. Paralegals form an important part of the legal profession. Under the supervision of lawyers, they conduct a variety of legal business, such as drafting documents and doing research. 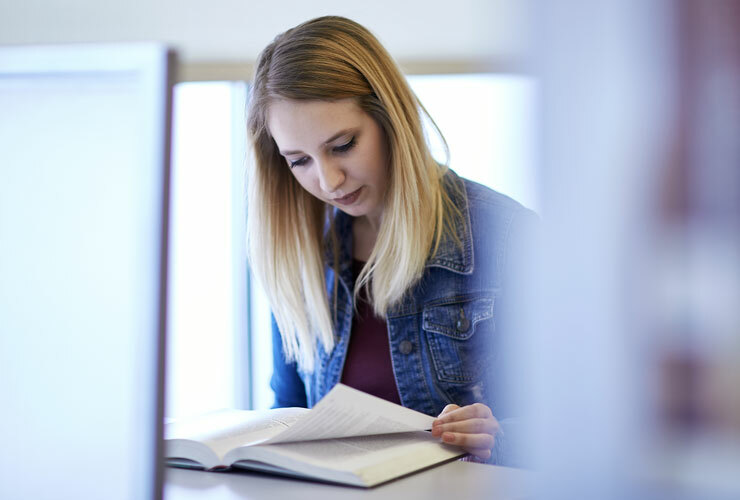 Whether you’re just entering the paralegal field or you’re an established professional looking to add to your credentials (and earning potential), the ABA-approved Paralegal Program at Columbus State prepares you for a great career. 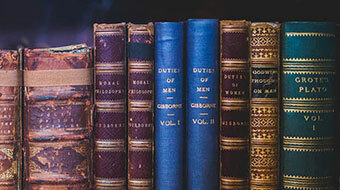 Columbus State and Kent State have teamed up to offer the 3+1 Paralegal Studies program, allowing you to complete three years of study at Columbus State’s low tuition rate, then stay on Columbus State’s campus for the fourth year of Kent State courses to complete your bachelor’s degree. Early childhood development and education professionals can make a big difference in the lives of kids. Research shows that quality pre-K education delivers lasting benefits such as improved school readiness, attention, and discipline. The Early Childhood Development and Education major at Columbus State prepares today’s professionals to work with children and families in a variety of settings. The NAEYC- accredited program provides a top-notch education that includes hands-on practicum experiences in early childhood centers as well as various community settings, such as COSI, the Columbus Zoo, and the Columbus Museum of Art. Stacey Little has loved basketball since high school, and her passion for the sport put her on a path to become a coach. Little is currently pursuing a Physical Education degree at Columbus State, with a focus on coaching. She’s learning how to design conditioning programs for youth of different ages and abilities, develop a philosophy of coaching, and interact with parents. She also has an internship as an assistant to the Columbus State Women’s Basketball team, running drills and helping the Lady Cougars raise their game. 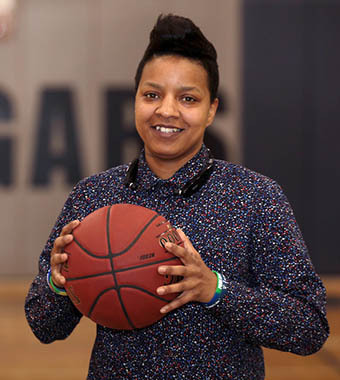 In her spare time, Little is working with other community organizers to start a mentoring and sports training program for incarcerated youth called “Ball Smart. Ball Hard.” The program will include lessons on life skills like setting goals and sticking to a plan. More importantly, kids learn that someone is rooting for them. “Sports teaches them that people want to see them do well,” Little said. Teaching has been Melanie Adams’ passion for more than 30 years. 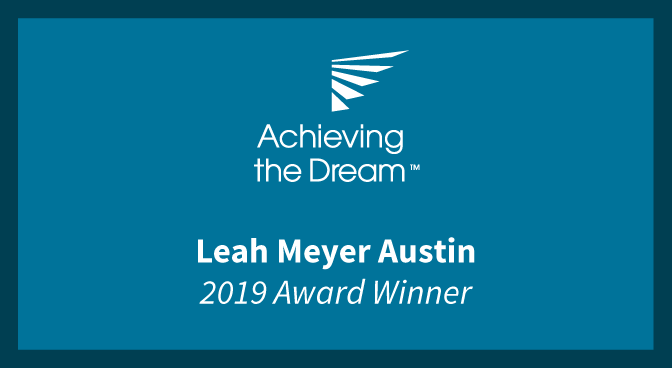 She teaches her Early Childhood students that young children learn best in an environment that fosters community, provides hands-on learning, accommodates multiple types of learners, and provides specific feedback. In her own classroom, she uses the same philosophy when teaching her adult learners. Nurses work closely with patients to perform physical exams, administer medication, interpret patient information and much more. 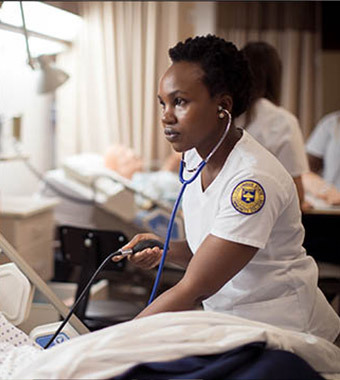 Our five-semester Associate of Applied Science in Nursing prepares graduates to work in a variety of settings, with an emphasis on critical thinking, decision making, delegation and care management skills. Columbus State also offers certificates for those seeking entry-level jobs or for nurses to expand their credentials. Why pay more for the same degree? When you start at Columbus State, you can transfer your associate degree to one of our many partner institutions and save big. That way, you can graduate ready to tackle your future, rather than paying off the past. 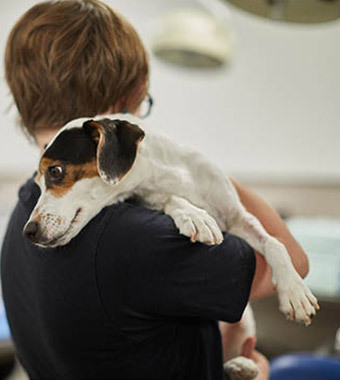 Channel your compassion for pets and people. Mary Garrett spent most of her life in accounting to provide for her family. At 57, she decided it was time to do something for herself. So she went to college. “I always wanted to be in the medical field and this was my opportunity,” she said. “I got my kids in school. I wanted something I could enjoy.” Garrett enrolled at Columbus State, and after exploring her options eventually settled on a degree in Multi-Skilled health. 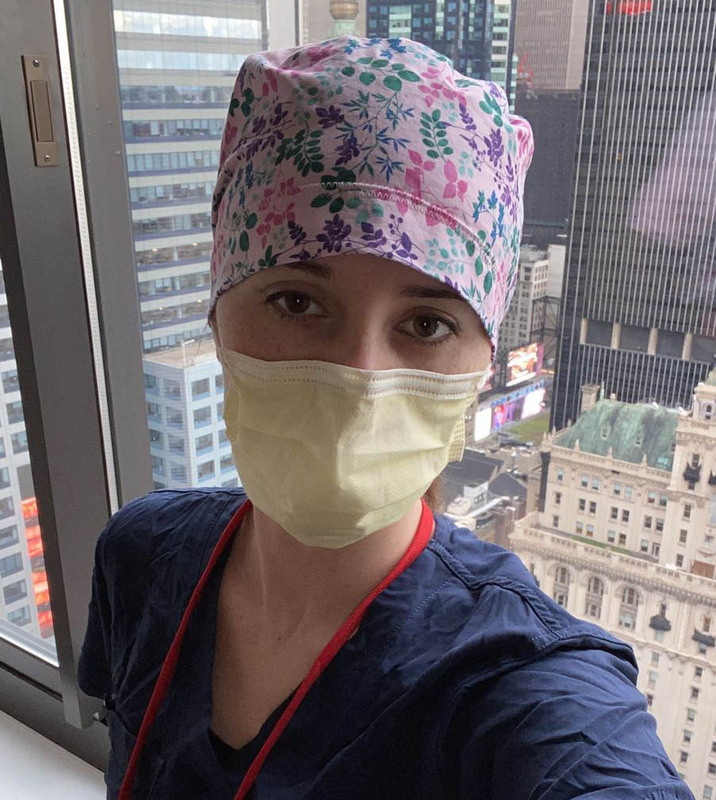 After completing her phlebotomy clinicals in 2014, Garrett was hired by Fairfield Medical Center, where her own mother had been treated a few years before — an experience that helped inspire Garrett’s career change. 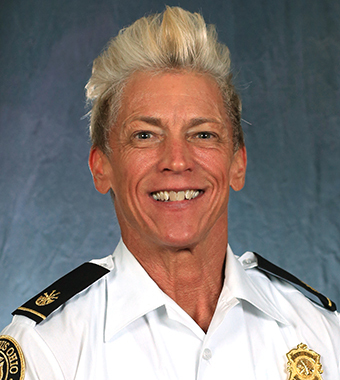 After a year, she moved on to a position with Southeastern Correctional Facility. 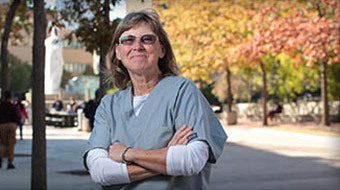 When many of her peers are starting to think about retirement, Garrett still loves her work. “As long as I can get up every morning and get out of bed, I’ll keep on following it,” she said. 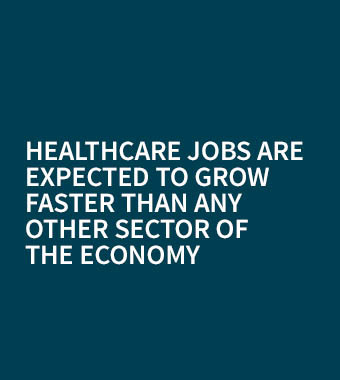 According to the Bureau of Labor Statistics, the health care industry is projected to add 2.3 million jobs between 2014 and 2024 — that’s more job openings than any other occupation. 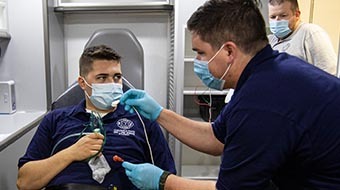 Many careers in the health care field require only an associate degree, and range from nursing to dental hygiene to respiratory therapy. If you plan to earn a bachelor’s or master’s degree in the medical field, starting at Columbus State and transferring can save you thousands of dollars in student loans. According to the Bureau of Labor Statistics, the national median wage for dental hygienists is more than $70,000. With an Associate of Applied Science in Dental Hygiene from Columbus State, you’ll be prepared to provide quality care in private practice, hospitals, public health clinics, research institutions, public schools and other settings. 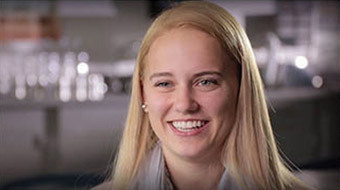 A sports-lover all her life, Zea’annah Slack knew she wanted to major in exercise science. 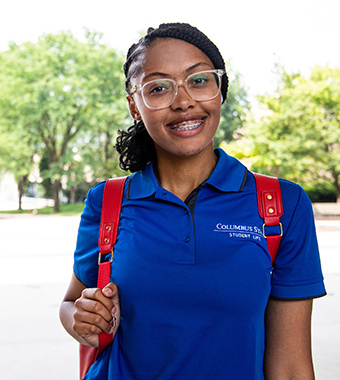 Slack took some courses at Columbus State during her junior year of high school, and she enjoyed the experience so much that she decided to enroll here to earn her associate degree. 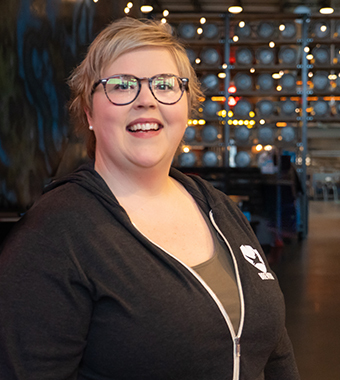 That decision allowed her to forge connections with advisors and teachers early on, and opened the door to new opportunities. 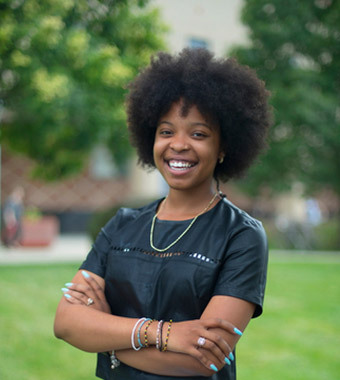 Slack’s advisor helped her land a research assistant position at Ohio State University where she’s worked on a study looking at the effects of nutrition and exercise for minority students in college. Slack plans to transfer to a four-year school to earn a physician’s assistant degree with a minor in herbal science — a passion she’s developed during her time at Columbus State. Slack aspires to own her own herbal remedy business one day, so she can educate others about the benefits of herbal treatments and create her own affordable yet effective remedies. Initially, Emily Holbrook assumed she would attend Ohio State University her freshman year of college. 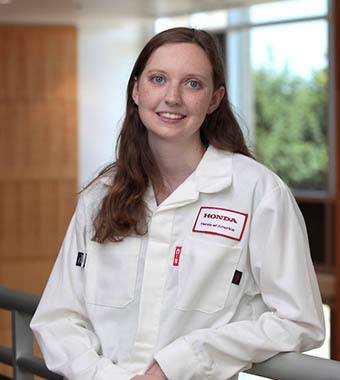 But when she discovered the resources available to her at Columbus State — including tuition assistance, one-on-one counseling, and an active STEM Club — it was an easy decision to start here before transferring to Ohio State to study medical dietetics. In the last decade, the number of alternative-fueled vehicles on the roads has risen dramatically and continues to increase. From individuals to corporate and government fleets, more and more Americans are choosing these energy-efficient modes of transportation. That creates a high demand for automotive technicians with the technical skills to maintain and repair vehicles powered by electricity, alternative fuels, or a hybrid of conventional fuels and new technology. 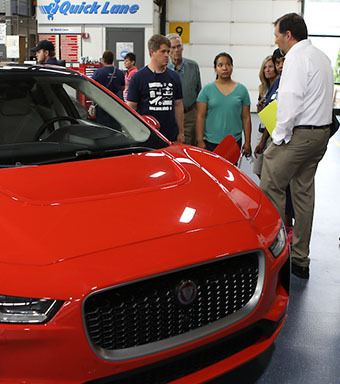 Funded in part by a grant from the National Science Foundation, the new Alternative Energy Automotive Technician Certificate prepares automotive students and professionals to step into this up-and-coming specialty. Columbus State is committed to working with employers to bridge the gap between what students learn and the skills companies look for in a candidate. 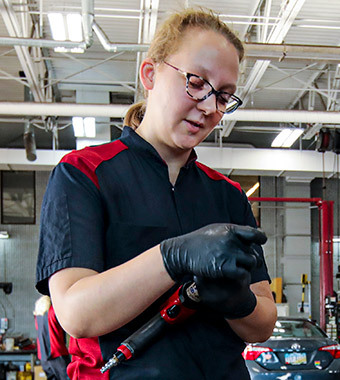 Honda’s work-study program gives Columbus State students real-world experience in the field before they even leave school, setting them up for success after graduation. 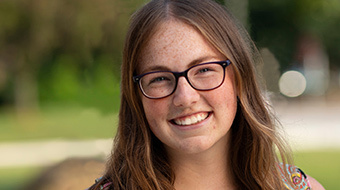 Erica Miller’s first foray into engineering and robotics was in middle school, when she participated in the First Lego League. “As a kid I was always fascinated with figuring out how things worked. 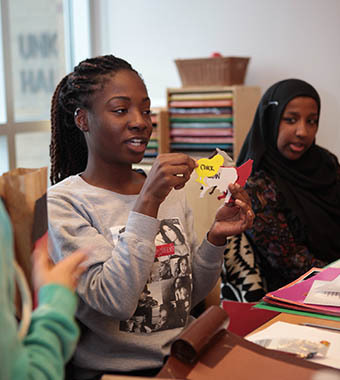 I really liked thinking through problems and evaluating solutions,” she says. Today, she’s channeling that passion for problem-solving into her job as a technician with Stanley Electric US, Inc.
For professor Shane Bendele, there’s nothing more satisfying than know he’s prepared his students well. “Probably my favorite thing that I hear over and over again is somebody who’s been working in the field for maybe six months, they come back and they tell me ‘I use everything you taught me,’” he says. 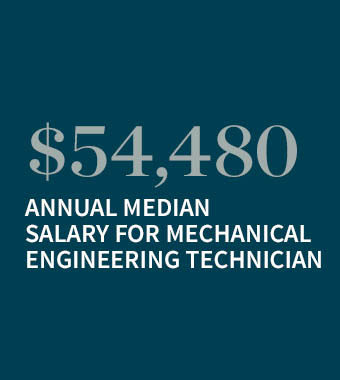 According to the Bureau of Labor Statistics, mechanical engineering technicians earn a median $54,480 per year working with mechanical engineers to design, develop, test, and manufacture mechanical devices, including tools, engines, and machines. In this career, you’ll might do everything from creating sketches and rough layouts to recording and analyzing data. In addition to teaching enthusiasts how to fly, Spencer Aviation's Ground School is responsible for making sure that the employees of a leading avionics equipment manufacturer learn what pilots need to know in the cockpit. The company has consistently ranked in the Flight Training Excellence Awards Honor Roll, a recognition awarded by The Aircraft Owners and Pilots Association. 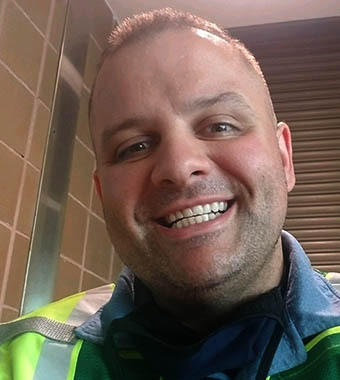 To create his company's culture of excellence, Mike Spencer built on the fundamentals he learned while getting his Columbus State associate degree in Aviation Maintenance Technology, and in the Aircraft Airframe and Powerplant Mechanics Certificate program. “I can credit Columbus State for getting me off to a great start in aviation," he says. "When I first decided to get into the field, I wanted to know as much about aircraft as possible, and Columbus State gave me the start." Columbus State’s Associate of Applied Science in Architecture teaches students how to make a building come to life by piecing together a building project and developing the drawings necessary for it to be constructed. The program covers skills used daily in the field, such as manual and CAD drafting, Building Information Modeling (BIM), detailing, product selection and specification, design, the study of architectural history, and code evaluation. Graduates find positions with architectural and engineering firms, builders, developers, product manufacturers and others. Summer and Autumn Registration Open Now! 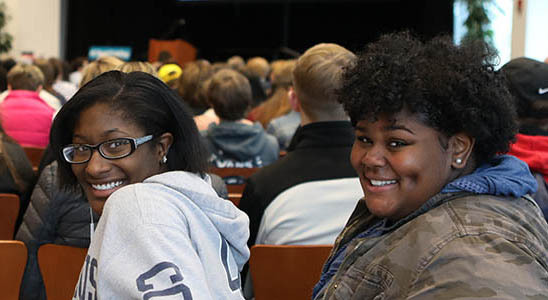 At Columbus State, you can choose from a wide range of programs that will prepare you to transfer to a four-year college or jump right into the workforce. Start here to discover your path. Academics Build your artistic skills Academics Item. 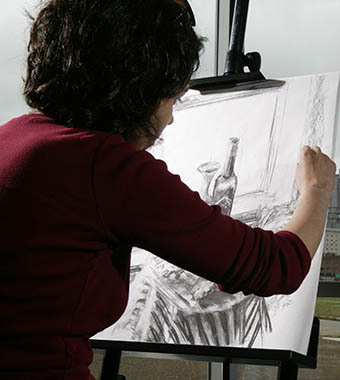 Image of Woman Drawing in art class. Build your artistic skills. Alum Finding his musical niche Alumni Item. Image of Justin Fields. Find out how he found his musical niche. Affordability Save 40-60% on the cost of a bachelor’s degree Affordability Item. 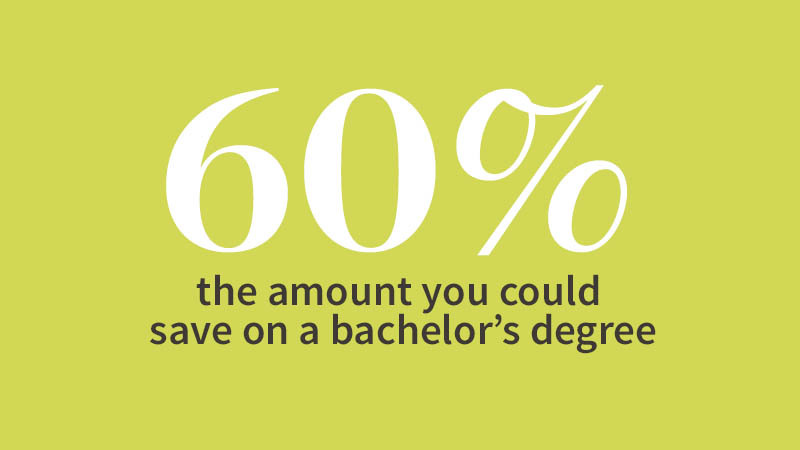 Save 40 to 60 percent on the cost of a bachelor's degree. Faculty Teaching more than just literature Faculty Item. 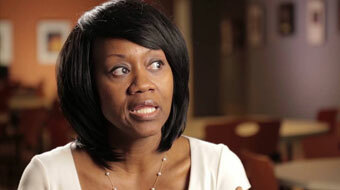 Image of Professor Crystal Clark. Teaching more than just literature. Building students’ confidence Faculty Faculty Item. 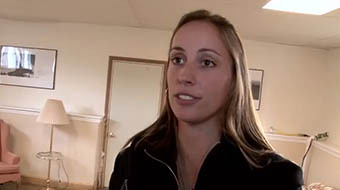 Image of Professor Nicole Brandt. Building students’ confidence. Where did humans come from? And where are we headed? Academics Academics Item. 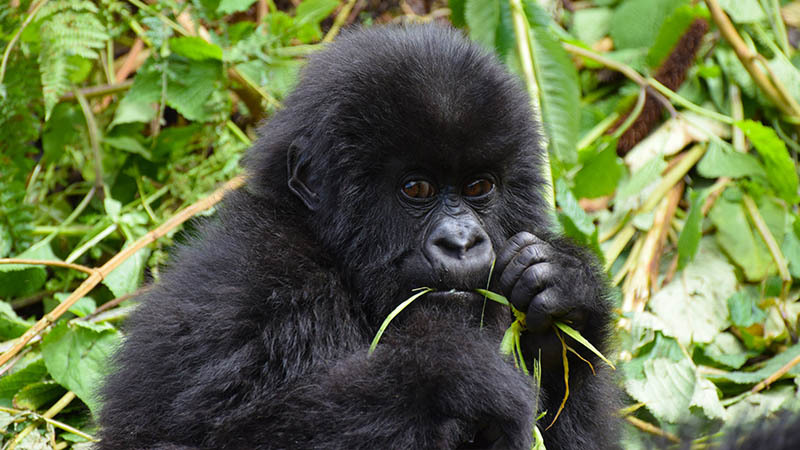 Image of cute baby gorilla. Where did humans come from? And where are we headed? Reinterpreting The Bard Academics Academics Item. Image of theatrical students. Reinterpreting The Bard. Fast Fact Find out more about job outlooks in the STEM field. Clickable Fast Fact. 9 million people will be employed in STEM jobs by 2022. Find out more about job outlooks in the STEM field. Support I can do math! Clickable Support Item. Image of Amy Hatfield teaching mathematics. You can do math at Columbus State! Scholarship Opening opportunity to careers in Science, Technology, Engineering, Math and Medicine Clickable Scholarship Item. Image of Science student with goggles doing experiement. Science, Technology, Engineering, Math and Medicine at Columbus State! Academics Astronomy, Chemistry, Physics, Engineering, and Geology Clickable Academics Item. 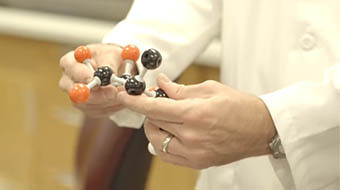 Close up of science professor holding molecular model. 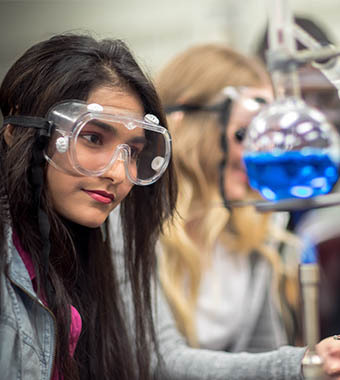 Astronomy, Chemistry, Physics, Engineering, and Geology at Columbus State! Affordability Students who start at Columbus State save up to 60% off the cost of a bachelor’s degree Clickable Affordability Item. 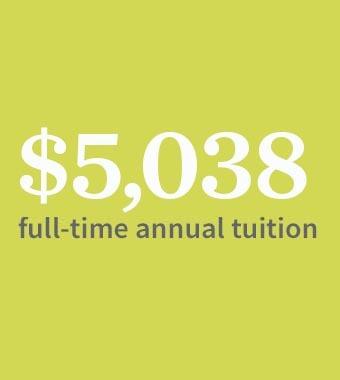 Tuition is about 4100 dollars a year. Students who start at Columbus State save up to 60% off the cost of a bachelor’s degree! Program The Louis Stokes Alliances for Minority Participation at Columbus State Clickable Program Item. The Louis Stokes Alliances for Minority Participation at Columbus State. Academics Anatomy, Biology, Physiology, Microbiology Clickable Academics Item. Image of Students studying skeleton in anatomy class. Anatomy, Biology, Physiology, Microbiology at Columbus State! Academics Explore. Discover. Invent. Collaborate. Clickable Academics Item. Image of Science professor Sellars and science student experimenting in class. Explore. Discover. Invent. Collaborate at Columbus State! Central Ohio counts on Columbus State to keep our region moving forward. We partner with industry leaders to understand today's workforce needs and anticipate tomorrow's demands. Our students and faculty were recognized for dramatic improvements in college completion rates. High school seniors: Learn about Columbus State and explore career pathways.